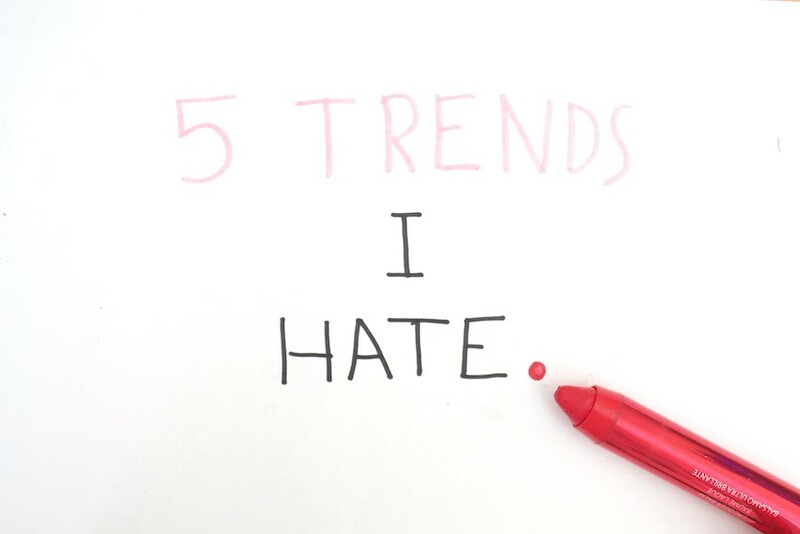 5 TRENDS I HATE | RAWR BOWS. Hello! I like to think of myself as a positive person and I am not really into spreading negativity. However, I thought it would be interesting to write a post on some spring and summer trends that I don't quite love. By writing this I don't mean to offend anyone and, of course, it is just my personal opinion and you are free to like/hate whatever you please. These are just some trends I have seen around that I definitely won't be following. ESPADRILLES. I have always disliked these shoes. If I am not mistaken they are kind of traditional in Mallorca so I grew up seeing them around, but I've never quite liked them. I don't really know what it is, I just don't get why some people love them so much. FLARED JEANS. Someone please send them back to where they belong, the bottom of everyone's closet. When I started high school I used to love them, I would literally wear them every single day. I thought I looked amazing, I was obviously wrong. I just think they are not flattering at all and they certainly don't suit me. CULOTTES. I think it's becoming clear that I am not one to wear any other type of jeans apart from skinny jeans. I personally think that culottes don't look nice at all, even if the hottest women on Earth wears them, it just doesn't look good. Skinny jeans ftw. DENIM ON DENIM. I wouldn't say I hate this trend but I don't specially love it either. This is definitely one of those trends that not everyone can pull off. Some people make it look really cool whilst some others seem that they're going to a rodeo. BRIGHT EYELINER. This is a make-up trend that seems to be quite popular on the runaway. I like to wear black or dark eyeliner every now and then but I'm not really into this whole bright blue eyeliner thing. To be fair, though, I've never been a fan of bright colours when it comes to make up. Now, back to being positive, what's your favourite trend?